Give your smile a second chance! Our treatments include CEREC. This is the perfect crown treatment for you if you cannot wait for days to get new crowns. With the help of new technology at TLC Dentistry, your customized crowns would be ready in as little as an hour. You can also go for the usual aluminum or steel crowns for temporary coverage. The procedure is simple and during your consultation session, our dentist would take you through it in detail. If you are missing some teeth in your mouth or the entire set, you can also get dentures from us. These dentures are completely removable, comfortable and effective. 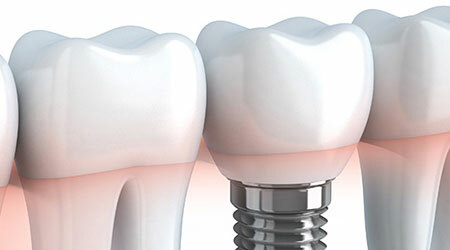 We offer implants as well and, depending on the state of your teeth, our dentists could recommend which implants would be right for you. Our dental restoration also includes fillings and resin composite restorations. In both these procedures, you would be given the local anesthetic and wouldn’t feel a thing. You will, however, wake up to perfect teeth. Root canal procedure is also offered by us. Outstanding service and have referred them multiple times. Thank you TLC for your quality work and keeping me smiling! Isn't it Time to Give Your Smile a Second Chance? Call us now for a restorative dentistry consultation and restore your teeth to their potential glory.